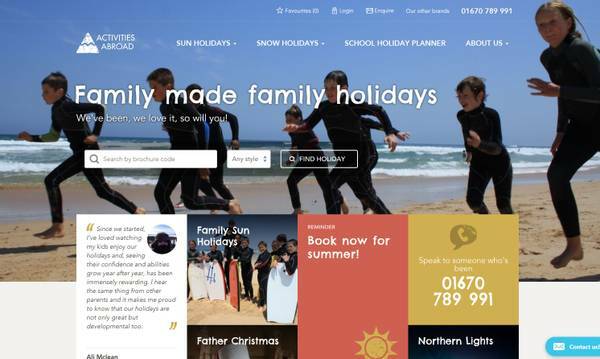 This established and extremely exciting tour operator required a website for a new brand promoting specialist Family holidays to Scandinavia and the rest of the world. The best way to judge a site is to visit - please tell us what you think! "The final part of a trilogy, the Activities Abroad website complete the set for the Artisan Travel Company"